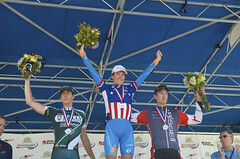 originally uploaded by Dot Cycling. Maybe Australia's Cadel Evans was just waiting for the right moment. 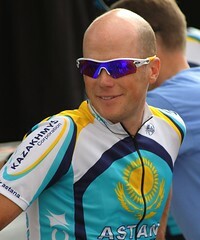 Evans, who has earned a reputation as a GC rider who is content to ride within himself and wait for others to fail, launched a brilliant attack from about 4 kilometers out, then fought off a counter by Alexander Kolobnev and Joaquin Rodriguez to take the biggest win of his road career. Fabian Cancellara, a fatally marked man racing on Swiss soil, laid waste to a quality escape group including Tom Boonen, defending world champion Alessandro Ballan, Michael Rogers and others with about 2 laps to ride. Cancellara brought Evans, Alejandro Valverde, and a number of other strong riders along and may have dulled his amazing afterburners before the decisive move came on the final lap. With no one in his group (including Basso, Pozzato, Valverde, Sanchez) willing to chase, Cancellara finally went after the 3 men up the road with only a little more than a kilometer to race, and by then the race was over. 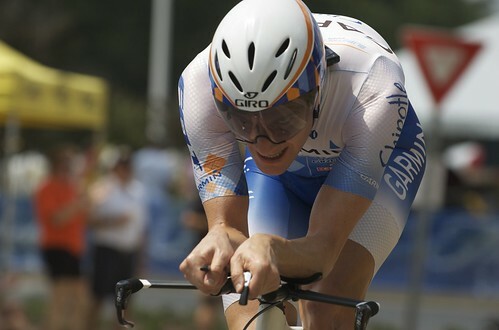 Adding insult to injury, Sammy Sanchez outsprinted the newly minted world TT champion to the line to take 4th overall at :30. 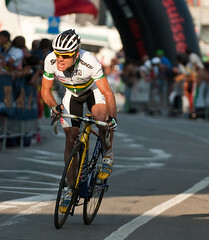 Australia has never had a world road race champion, despite world titles in most other cycling disciplines, and the win by Evans is the perfect prelude to the 2010 World Championships, to be held in his hometown of Geelong, Australia. So I'm sure that a few of you have wondered what's up with this weblog. Generally, I wind things up a lot earlier in the season, offering race results and analyses of Paris-Nice, the Spring Classics, and certainly the Giro and Dauphiné. I've got to admit, however, that it's getting harder and harder to follow our sport. 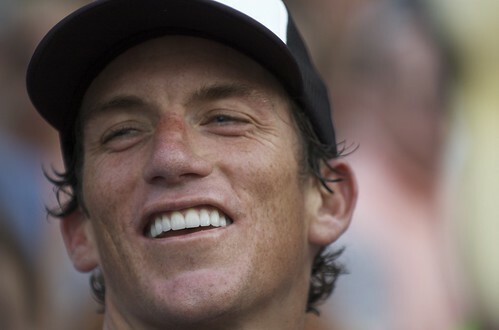 Every year, it seems, we've got a crop of outstanding new riders who offer breakout performances at the Tour. And every damn year, it seems, it turns out many, even most, of those performances have been chemically enhanced. 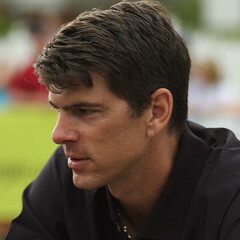 Ullrich. 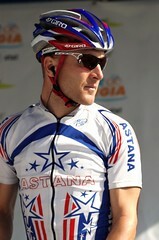 Basso. Rasmussen. Schumacher. Kohl. Ricco and Piepoli. 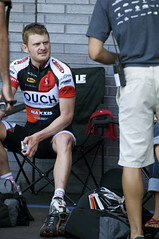 And yes, Floyd Landis. (Ask me again tomorrow, and I may be back to rationalizing for Landis). It's enough to turn a fan against cycling. When, for April Fool's Day, Briggs Heaney posted that he was giving up on cycling, I almost bought it, because I shared a lot of his offered reasons. Certainly, it's been enough to turn off some of the other bloggers whose writing and commentary I have enjoyed, including Wim van Rossum, who used to maintain the indispensible cycling4all and the blogger who ran Cycling Fans Anonymous. So why don't I flip the switch and lock the doors around here? Because, when the action starts, I've got to watch it. I loved this year's Giro, with Di Luca seemingly turning himself inside out day after day, and Menchov matching every move. Mark Cavendish and his team are just astounding. When April rolled around with no Tour de Georgia, I missed it something fierce. On the other hand, I'm going to change my focus a little bit, back to more of a link-blog. I started this weblog with BoingBoing and Glenn Reynolds' Instapundit (he's authored 10 posts while you've been reading this) as models, and with only TypePad as an authoring tool. Now, with the rise of Twitter and other social media, I plan on migrating real-time race updates, breaking news, and quick link-only posts to Twitter (I did race updates on Twitter last year -- at http://www.twitter.com/TdFblog ), with stage summaries, photo gallery links, and commentary here on the weblog. 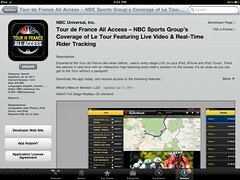 Byron and I are talking about how best to incorporate some Tour coverage on Bike Hugger, as well. Thanks for reading (since 2003! ), and for all your comments and feedback.